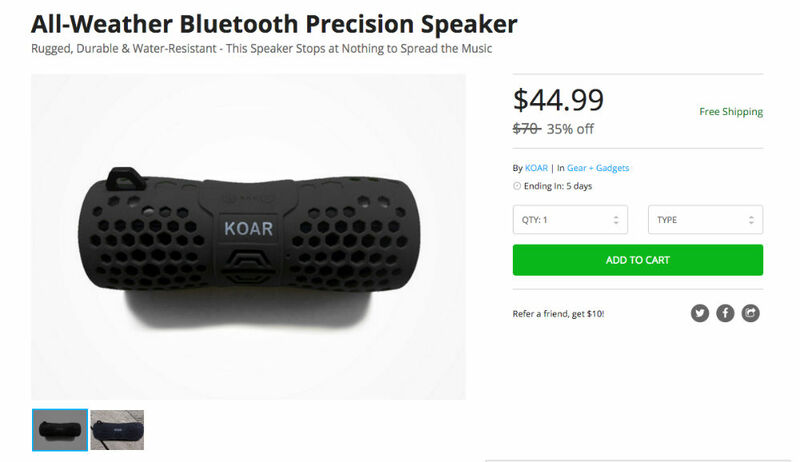 Currently available at a discounted price, the All-Weather Bluetooth Precision Speaker can be purchased on the DL Deals Store for $45, down from $70, plus free shipping. This speaker is not only portable, with the ability to be wirelessly connected to your smartphone via Bluetooth technology, but its construction brings intense protection from drops and water damage (IPX6 rating). Wrapped with a high-quality silicon case, this speaker would be perfect for an outdoor lifestyle, including working outside or even camping. Check out all of the features below, then follow the link if you are interested.